The cosplay haven of Canberra. Photos: Supplied by Jalima of Profile Photography. It’s a cold, wet Wednesday evening. The last rays of sun have long since disappeared, and the creatures of the night, lurking in the shadows, congregate at their usual watering hole. Goblins, pirates, elves, hobbits, woodland creatures, even knights – each seeking to fill their bellies with something more sustainable than fire, file in through the tavern door. Ale in hand, they shuffle into a a corner booth. “Nice costume,” one says to the other. “Thanks. I made it myself. Let me tell you all about it!” They huddle in for the spiel. Welcome to the Copper Dragon, in the not-so-mythical land of Greenway, Canberra. 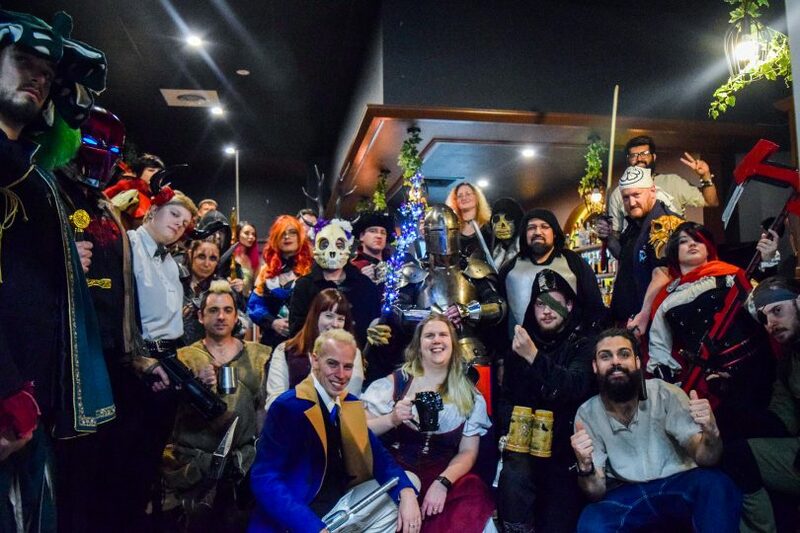 Opened in December 2018, The Copper Dragon provides a unique space for the growing communities in Canberra of cosplay, table-top gaming, live action role play and, according to their website, “everything geeky in between”. Owner and self-named Head Dragon Keeper, Isobel Majewski, had always dreamt of a place where she could be transported to another world. A place for fun and adventure, with a community full of like-minded people. In 2017, Isobel left her job in the Public Service and set out to make her dream a reality. Within 18 months she went from public servant to opening the doors of The Copper Dragon. Isobel – Copper Dragon’s owner, (and barmaid, in her spare time). “The Copper Dragon is a fantasy-styled tavern, with the aim to create a home for those who love cosplay, table-top gaming, role play, board games, and pop culture in general. In everything we do, we want to support, nurture and grow this community, and give them a safe space to share their passions,” said Isobel. Open from Wednesday to Sunday, customers can take advantage of the board games library on offer along with getting involved with a mix of events spanning role-play to themed trivia. “We have Cosplay Mixers, a social night to meet cosplayers, get dressed up, talk to others about their techniques, get tips and hints about cosplaying, and show off your latest work! 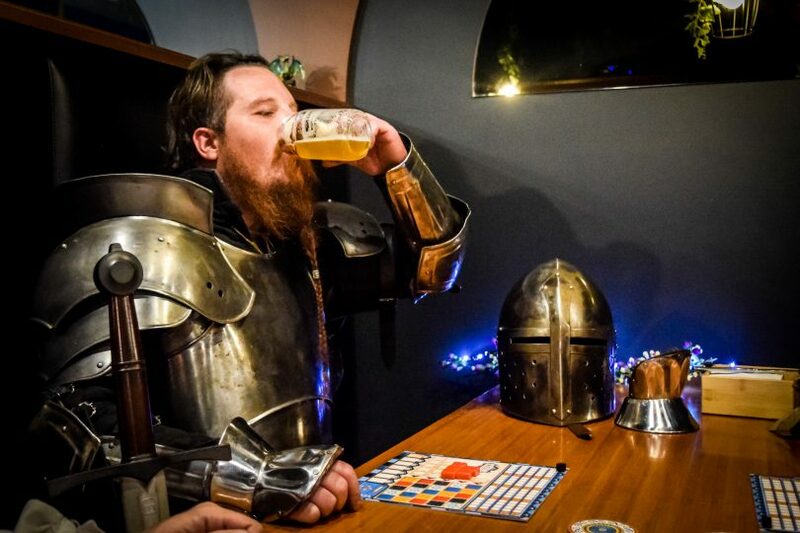 We have also started Role Play Nights with different themes, like Dungeons and Dragons and 7th Sea and invite adventurers to join a table for a one-off game. I have also introduced Speed Gaming, a concept where individuals can come and play quick and fun games with new people, with a game lasting approximately 30 minutes before they play a new game with a new group. 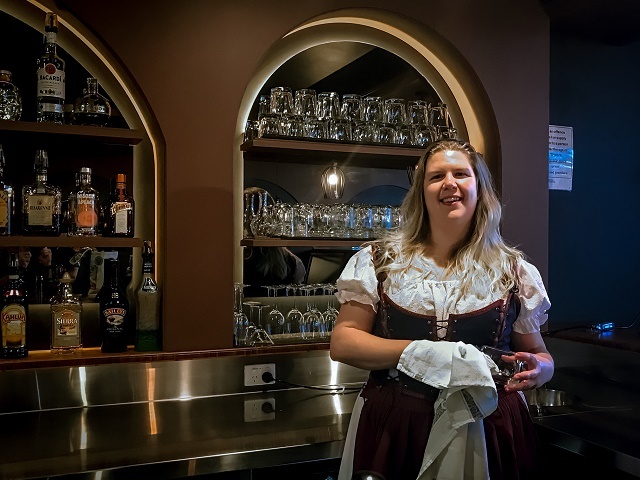 I have put a spin on classic trivia with our Tavern Trivia which includes speciality themed nights,” said Isobel. 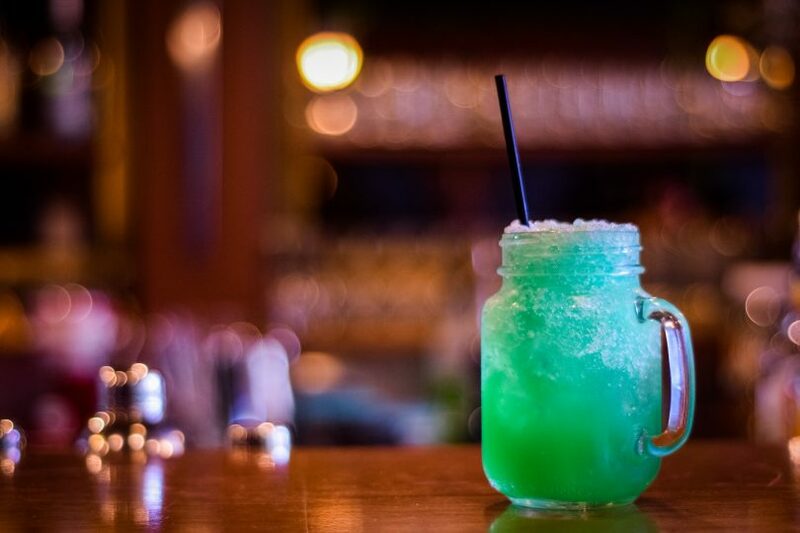 Operating as a true tavern, there is a strong emphasis on providing quality food and drinks, all with The Copper Dragon twist. 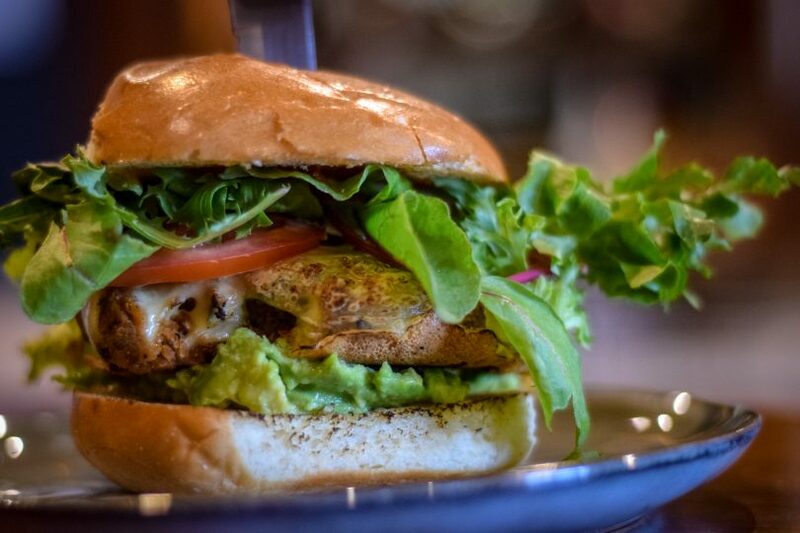 Ent It Grand (vegetarian burger). 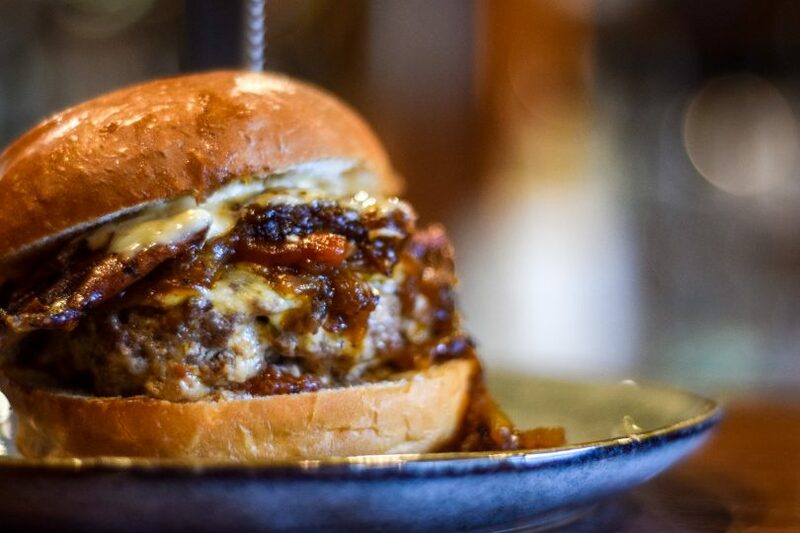 “We have a gastropub-style menu, sporting delicious handmade burger patties (from a secret family recipe) like the Dungeon Deluxe, Dragon’s Hoard and Ent It Grand (vegetarian burger), and some great share plates on our pub snacks menu, including our most popular Chocobo Wings (house-made buffalo style and BBQ style chicken wings). Our menu caters for vegan, vegetarian and gluten-free,” shared Isobel. So, for those who’ve wished to live in their fantasy books, tv shows, or games, the Copper Dragon is sure to awaken your love for magic and mystery. Here is a safe place where Jedis and Siths can share a pint together, where slain Game of Thrones characters roam freely, and where all creatures – big and small – are welcome. The Copper Dragon is located at 5/38 Reed Street North, Greenway, ACT 2900. Open Wednesday – Sunday at various times. Bookings essential for guaranteed seating. Ask RiotACT: Where can I buy sheets of brass or copper in Canberra?